Discouraged and ready to give up on dieting? Wait! Here's a better choice! As a weight-loss coach and success story, I know that sometimes you need a diet program that's safe and healthy, but gives you fast weight loss. The best part is... I am still maintaining! Would you like to achieve this same success? Whether you need to lose 20 pounds or 200 pounds, this medically approved plan will get you to your goal faster and easier than anything you've tried before. On this goof proof program, I simply replaced all or most of my meals with a delicious, high intensity nutritional product. and most of all...a renewed sense of hope! 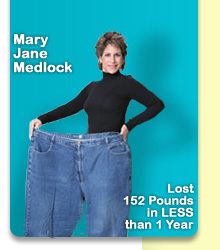 You will lose weight quickly! 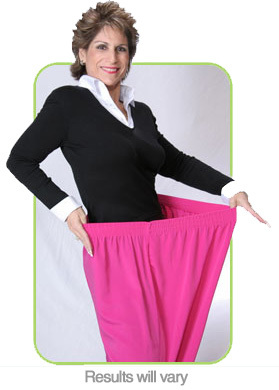 Both Women and Men typically lose 2 - 5 lbs per week for the first 2 weeks and 1 - 2 lbs per week thereafter. Weight loss stays consistent with minimal slow downs or plateaus. There's no measuring, calorie or carb counting or even food tracking. 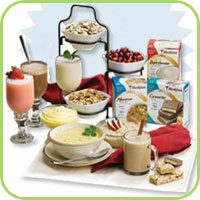 Just drink the delicious nutritional shakes, enjoy the soups and bars, and watch your weight drop. It's simple! Most people like myself have great energy, NO hunger, and feel wonderful! FAST results keep you motivated to stay on the plan. No Surgery, No Pills, NO KIDDING!! A regular or certified Health Coach is not a substitute for a physician or a qualified medical practitioner for monitoring patients using Medifast low calorie products. Medifast/Take Shape for Life makes no claim that this result is representative of all patients on the Medifast program. For many dieters, weight loss is only temporary.